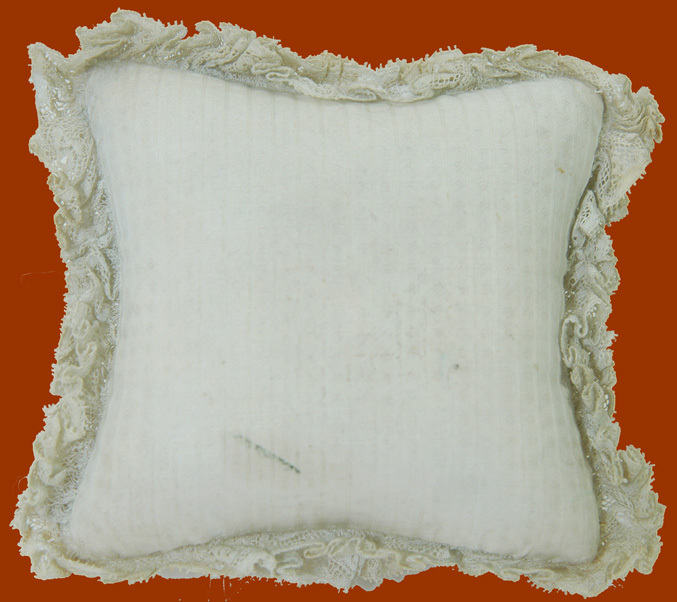 These pillows or cushions are commonly referred to as christening pillows or cushions. 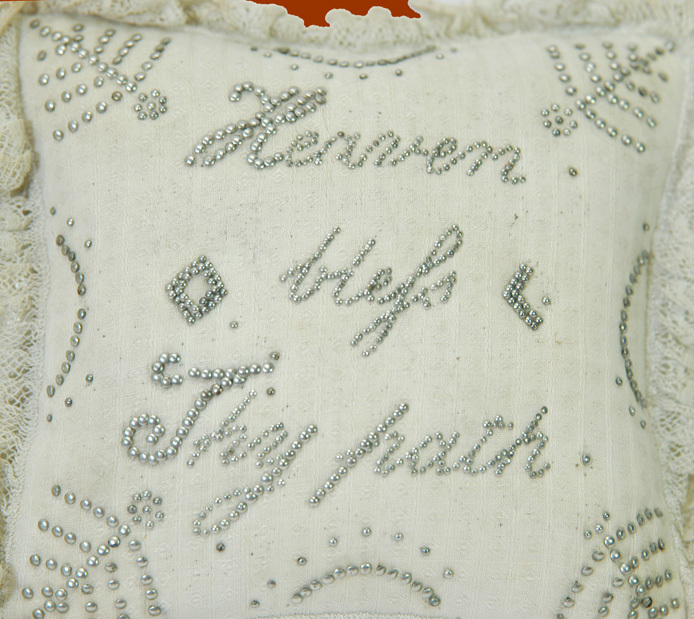 Brandt & Cullman tell us that these wonderful pin cushions were hung on the front door to announce the arrival of a baby to friends and neighbors.1 I suspect that this pillow was given as gifts to the newborn's mother and were kept indoors. 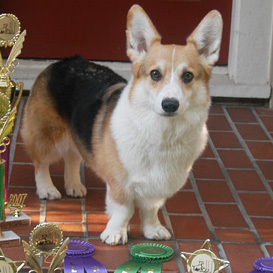 There is no indication that any ever had a ribbon for hanging. 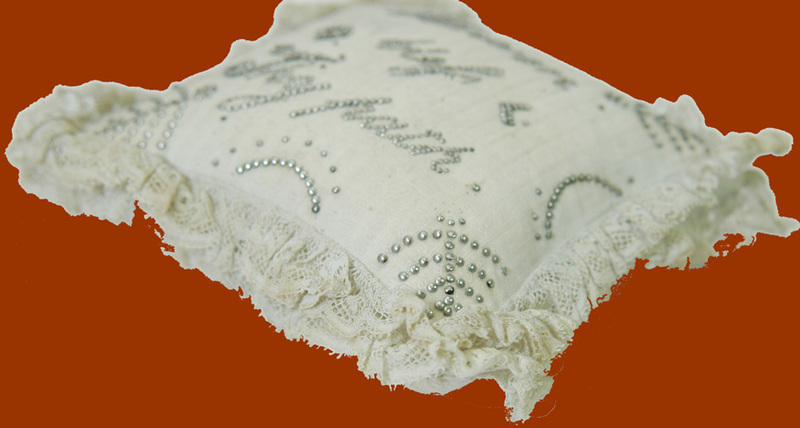 It is also interesting to note that these pillows could not be given to the mother until the baby's arrival because it was believed that the pins would cause more pain during delivery. 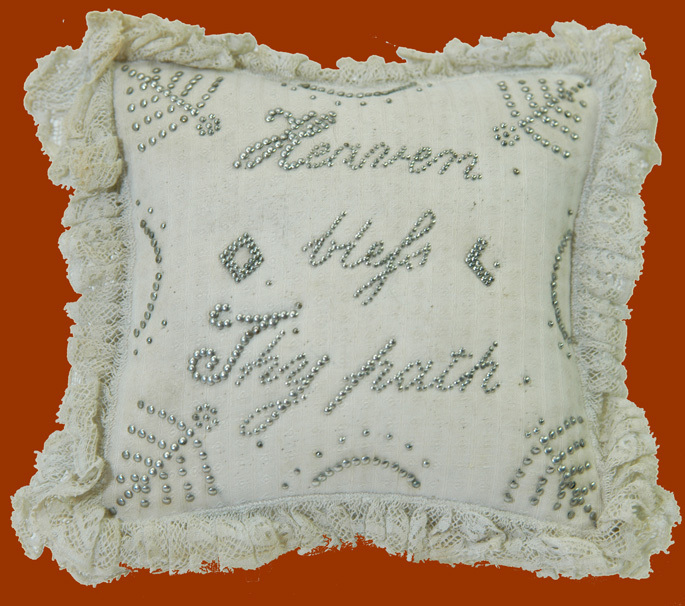 This beautiful pillow is hand sewn from a ivory-colored textured silk or cotton. 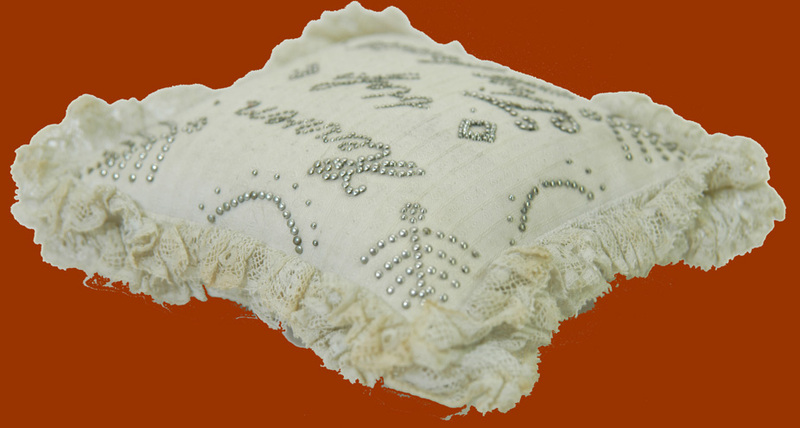 The fringe double edge is made of lace. The pin decoration includes the inscription, stylized pine trees in the corners and a double arch in the middle of each edge. There is a diamond on either side of "blefs". Pins used for "H", "T", the backside of "y" and the ront of "p" are larger sized pins which accentuate those letters. 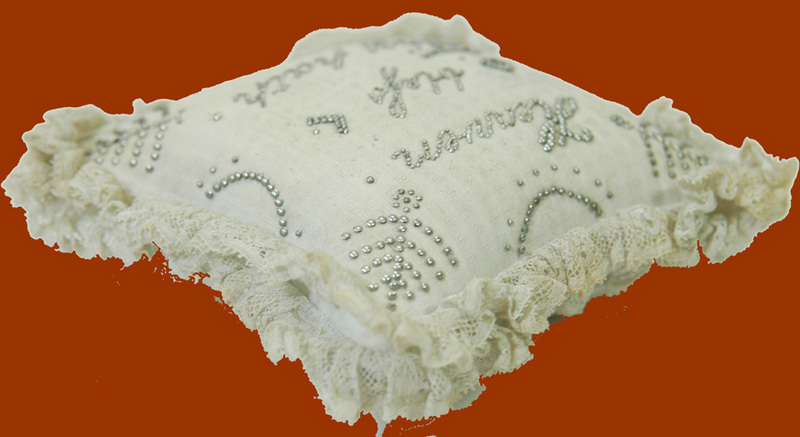 The condition is very good with a few missing pins and corresponding pinholes and some light scattered stains on the back of the pillow. 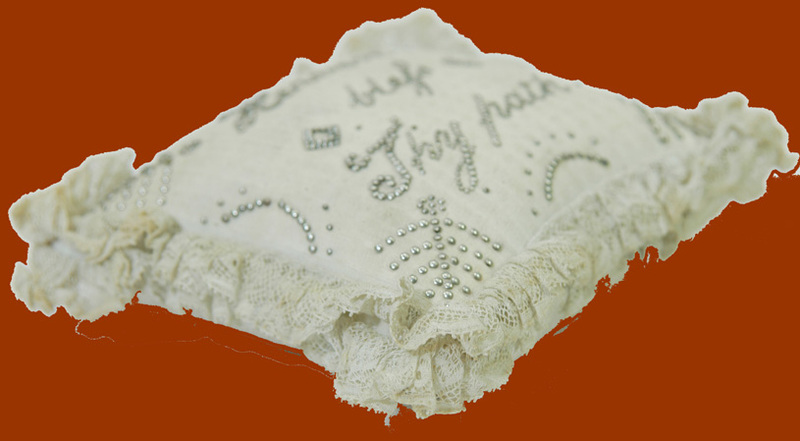 4 1/2" x 5 1/2" not including the fringe. Circa first quarter of the 19th century.